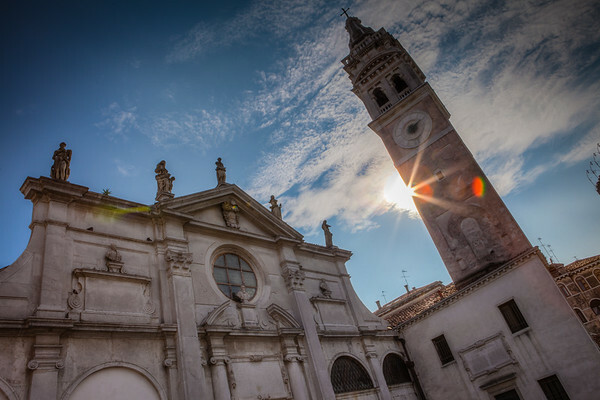 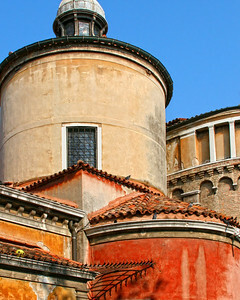 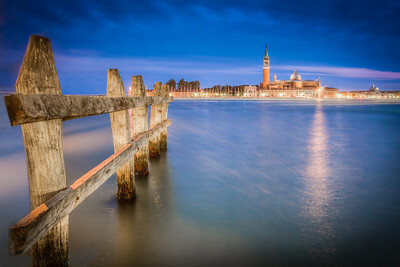 The Church of San Giorgio Maggiore in Venice, Italy. 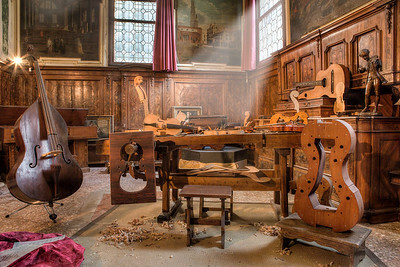 A string instrument shop in Venice, Italy. 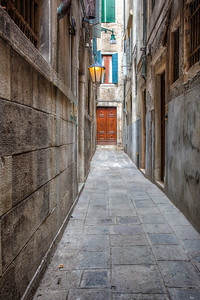 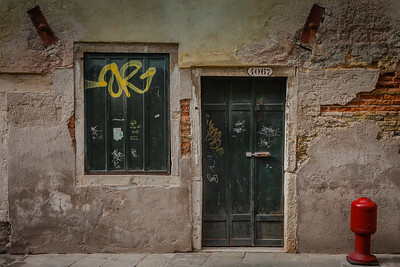 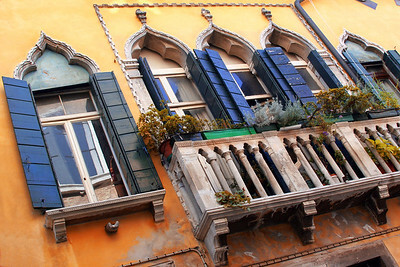 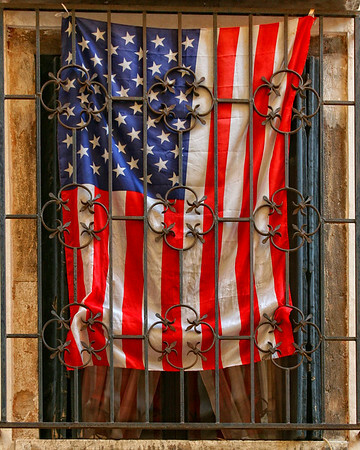 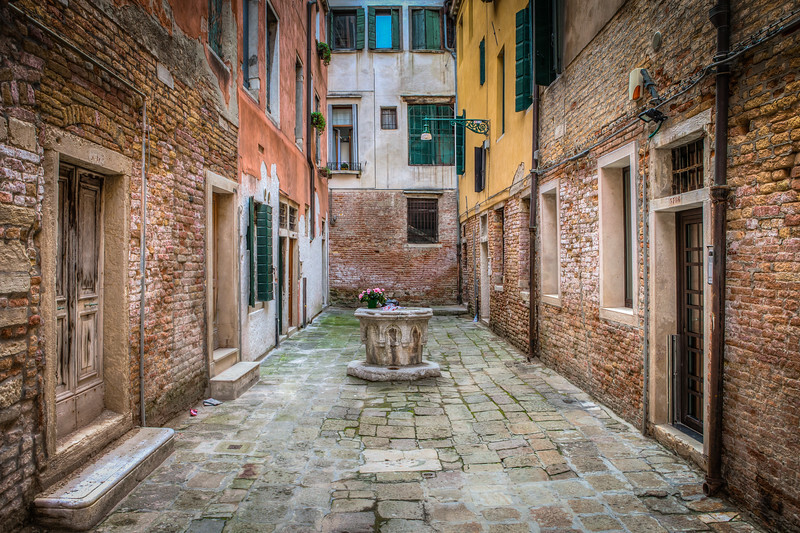 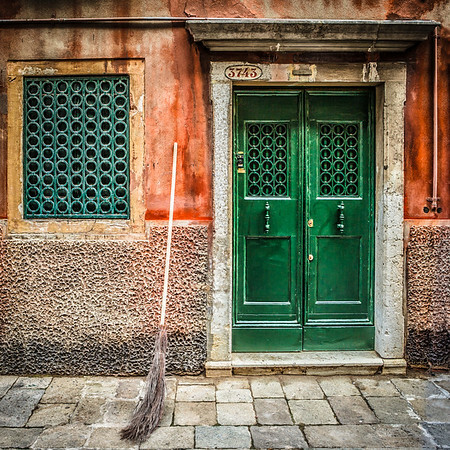 A door in Venice, Italy. 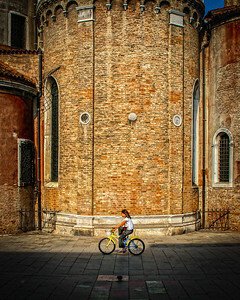 A girl rides her bike through the streets of Venice. 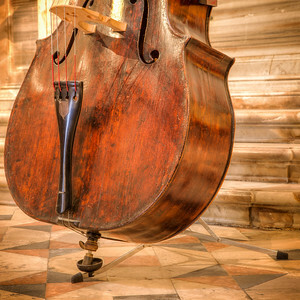 Detail of a 1776 Michelangelo Bergonzi cello. 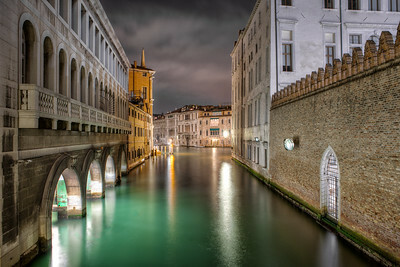 Venice's Rio d. Ca' Foscari late at night. 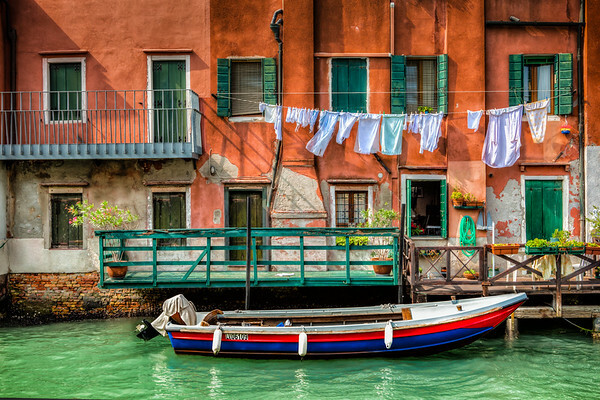 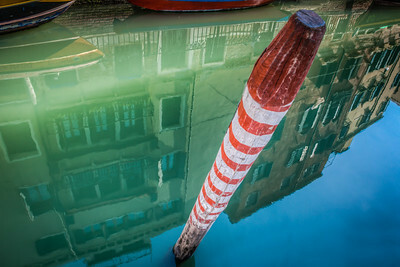 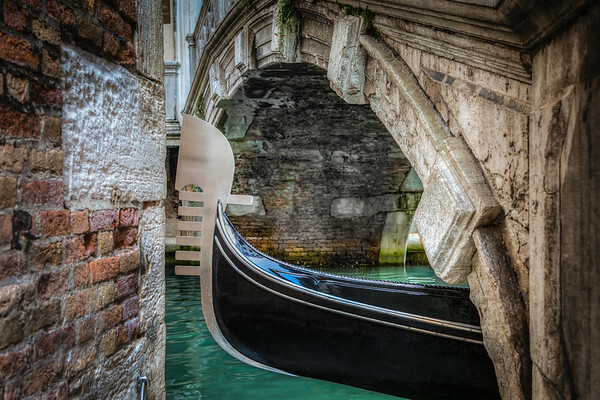 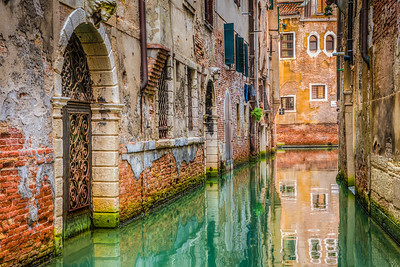 Gondolas rock in the water in Venice, Italy.